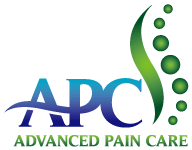 is one of many treatment options available to provide pain relief and a better quality of life. Depending on your acute or chronic pain condition, our professional pain management physicians may decide that pain medications are ideal or they may suggest other interventional procedures. It is important to know that medical pain management treatments may not eradicate all of your pain, but instead reduce how much pain you have and how often it occurs. The focus of pharmacologic pain management is on alleviating your pain symptoms by administering prescription (Rx) or over-the-counter (OTC) medications. If this form of pain management is determined the best course of action in treating the condition and severity of your pain, there are a variety of medications from which your physician may choose to administer, prescribe, or recommend.